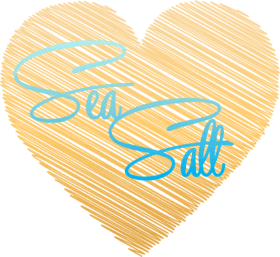 What Is Gourmet Sea Salt? When it comes to salt, what exactly does artisan mean? And no, it’s not just a fancy word for more expensive! And yes, it is more expensive and this because artisan refers to the way it is produced. Very often these salts are made by hand, and all are exceptionally high quality. With food products, and particularly sea salt, it refers to harvesting by hand in a way that causes the salt to retain its original qualities. This results in salts that are full of vibrant flavors from the water that they originated in, the earth on the ocean floor, the unique mix of minerals, and even the specific flora and fauna in the area. That sounds great, I know, but does it make it worth paying a premium for a few ounces of artisan sea salt versus just a few cents for that big tub of table salt at the grocery store? While it’s true that table salt and sea salt are both fundamentally made out of saltwater, the processing makes a big difference. Table salt is heavily processed to provide uniformity. Each tub of table salt contains nothing but sodium chloride with perhaps a little iodine added to meet regulations. Artisan sea salts, on the other hand, are taken directly from nature with little to no processing other than evaporating the water that surrounds the salt. That means that it will retain all of its minerals and other essential qualities the come from the very geography of its origin. The remaining minerals in sea salts give them some health benefits, but the extent of those is debated. The area where sea salts really win over table salt is flavour. Compared to natural sea salt, table salt is harsh, bitter, and acrid. Sea salts contain comparatively less sodium chloride, so the bitterness is removed and they have other flavours to complement their saltiness. And unlike the boring uniformity of table salt, sea salts are available in a variety of colours, flavours, and textures. What is Sea Salt Made Of? Since sodium chloride, the stuff that makes salt salty, is the same everywhere, it is the location itself and all of the minerals and plants and earth that come with it that makes each artisan sea salt unique. Sea salt comes from practically everywhere in the world – everywhere with access to saltwater, that is. And that’s actually a lot more places than you’d think, since it doesn’t necessarily involve a coast or, in some cases, any actual water. Sea salt is made in every continent, even the one down under. Australia, for example, brings us Murray River salt. This salt has a long story, with pure glacial water from the Australian alps mixing with the natural salt in the Australian groundwater. It flows into the Mourquong basin, which is highly mineral and contains a carotene-rich algae that gives the salt its distinctive peachy-pink color. Moving a little farther west, Pakistan provides us with Himalayan sea salt, which is that aforementioned salt-without-water. Eons ago, an inland sea dried up and was buried under what is now the Khewra Salt Mine. The salt is technically sea salt, but it hasn’t seen water in hundreds of millions of years. The iron oxide in the dense earth that now surrounds the salt gives it both its earthy flavour and famous pink color. More closely tied to the water is black sea salt from Cyprus. This salt is taken directly from the Mediterranean before being dried in ancient lava beds, whose charcoal provides the mineral content and color of the black flakes. Unsurprisingly, Europe provides a high number of the world’s artisan sea salts. France has possibly the most famous of them all: Fleur de sel, or flower of the sea. It is collected from Brittany’s sea water that becomes trapped in the medieval salt marshes of Guerrange, whose sandy bottoms lend them their grey color. Not to be outshone, the United Kingdom has two different gourmet salts. Maldon sea salt, one of the most highly recommended by top chefs, comes from the Blackwater Estuary. This unique body of water combines the freshwater that flows down from the Blackwater River with the saltwater coming up from the Black Sea to make a swirling pool that gives the salt its briney taste. Halen Mon Sea Salt which comes from the waters separating the Isle of Anglesey from the Welsh mainland, also takes advantage of its unique environment. Its pure flavor comes from the natural filtration from the sea sponges that thrive between the two landmasses. Last but not least comes the United States, where two unique salts come from the tiny island chain of Hawaii. Both salts come from the pure waters of the Pacific around the islands, but they take advantage of different geological phenomena to get their one-of-a-kind attributes. Hawaiian black lava salt gets its smokiness and color from the charcoal in the lava pits, while red alaea sea salt gets its color and earthy tendencies from the red clay on its own island. Since the flavour of sea salt is so subtle, understanding the different textures is equally vital to using it well. Most salts come in either flakes or crystals, but not all salts in each category are the same. Salt is evaporated from seawater. If there is plenty of solar energy, this is done by the sun - classic example is the French salt Fleur de Sel. If natural sun power is in short supply then heating salt brine inside is done - like Maldon salt. Whichever method is used, the faster the water evaporates (or, the higher the heat), the smaller the finished crystals will be. A longer evaporation time & lower heat allows the crystals to form larger, flakier chunks that are easy to hold with the fingers. Maldon sea salt has very large flakes that are known for their airy texture, while Cyprus black salt has pyramidal flakes that have more crispness. Murray River salt flakes are nearly fluffy, while Halen Mon’s trademark flat flakes pack a serious crunch. Crystal salts show a similar variety. While the Hawaiian salts boast large, crunchy crystals that pair well with roasts, the crystals of fleur de sel are almost delicate and remain somewhat moist, making them ideal for more subtle foods. Himalayan salt has a texture all its own, since it comes in large chunks of rock which are then broken into crystals or flat slabs. When the salt is first collected, it is usually wet. If using the sun as a natural evaporation method, the sun will remove the moisture early on in the evaporation process and will also bleach the salt crystals a brilliant white. It’s said that you eat first with your eyes, which makes colour just as important as flavour and texture when looking at salts. The correct colour for your needs will depend on both the purpose and on your particular tastes. For drama, consider black salts like Cyprus black salt flakes or Hawaiian black lava salt or a stark contrast between black and white salts like Maldon sea salt. Red salt like Hawaiian red alaea sea salt gives a nice earthy appeal for cookouts, while pink salts like Murray River sea salt and Himalayan sea salt offer a soft touch of romance for any table. If it’s pure elegance you’re after, though, you can’t beat the muted grey of classic French fleur de sel.